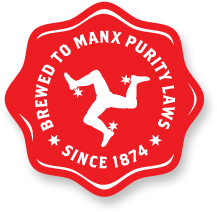 Here, amidst the pure shores and rolling glens of the Isle of Man, Okell's has been defined by our beautiful Island for over 160 years and guided, in all that we brew, by its unique Brewing Purity Law. Welcome to Pure Perfection. Cask or bottled? Okell's is now available all over the British Isles. Our locator map will point you to your nearest source of Pure Perfection. Okell's have been brewing since 1850. Take a look at our past and see how science, innovation and a unique law inspired today's Pure Perfection. Okell's has a range of top quality merchandise so you can wear your passion with Pure Pride.